What's wrong with the way it was? For starters, many athletes spent too much time traveling, competing and recovering from competition and not enough time preparing for it. Second, there was too heavy a focus on the scoreboard result rather than the performance and individual skill development. This attitude led often to long-term failure, as coaches de-prioritized the development of skills to focus on specific game tactics. And third, too many athletes were specializing too early. An early focus on just one or two sports often led to injuries, burnout and capped athletic potential. By implementing USA Hockey's ADM, associations will deliver more efficient skill development, will produce more skilled players and experience an increase in player retention. 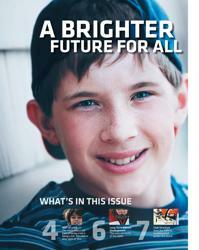 The ADM is a nationwide blueprint designed specifically to help kids reach their full potential.